Hello Bill! Thank you for your question. I am a licensed computer professional with over ten years of experience, and I will be assisting you today. I'm sorry about the issue. Is there any other label on the memory stick? That's okay. Here is the answer: Physically, DDR2 and DDR3 memory types are different, so a DRR2 memory stick cannot fit physically into a DDR3 memory slot, and vice versa. 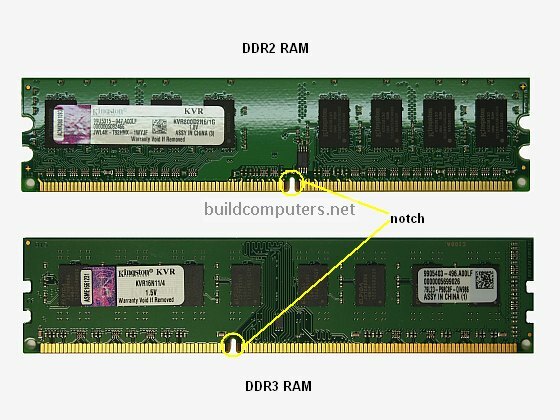 Please click on the image below, so you can compare the notch location of DDR2 and DDR3 memory sticks. If you need to know which memory type is compatible with your computer, please let me know the brand and model of your computer.